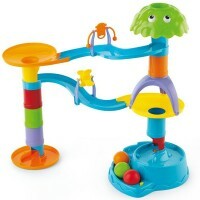 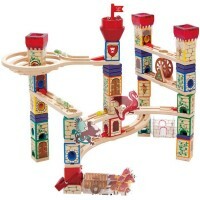 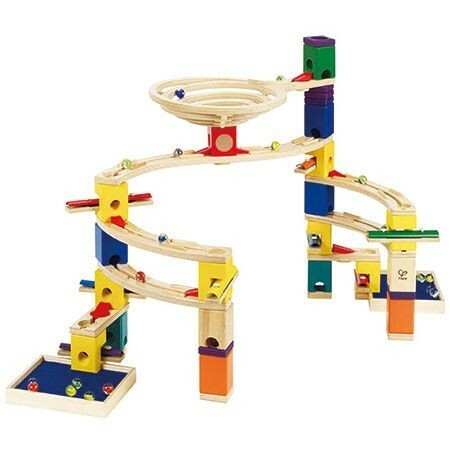 Add musical sounds and speeding pieces from the Music Mixer to any Quadrilla marble run building set. 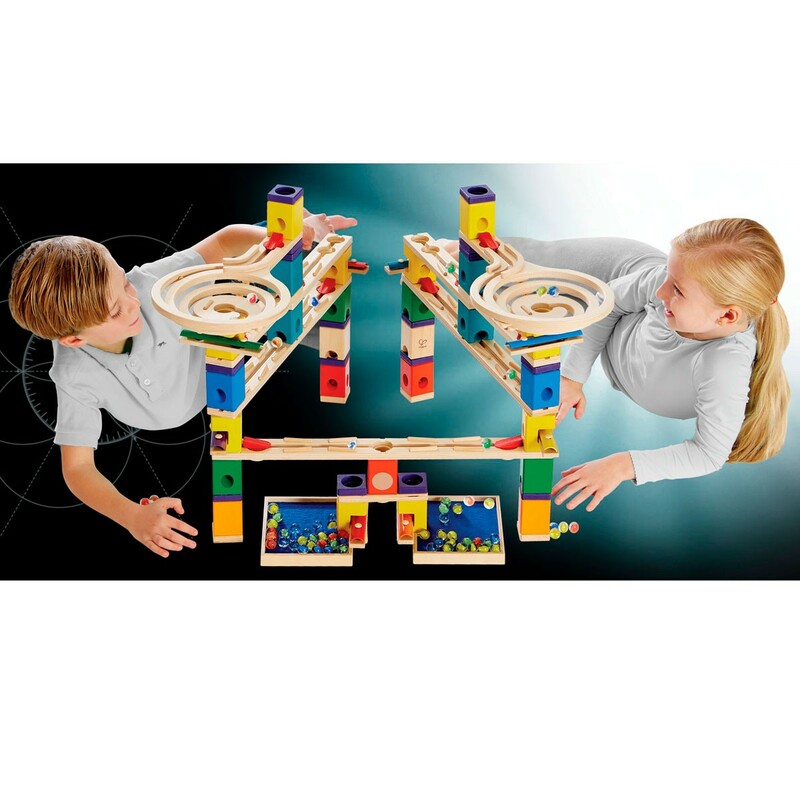 Another combination of engineering, music and fun is brought by Hape toy company! 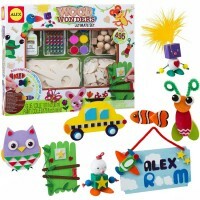 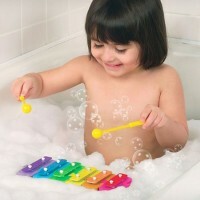 Educational Toys Planet is happy to offer the new musical add-on set for all Quadrilla building fans. Add tunes to any Quadrilla marble run with cool musical chimes, holders, accelerators and rails from the Music Mixer Quadrilla Sound & Motion 56 pc Add-on Set. 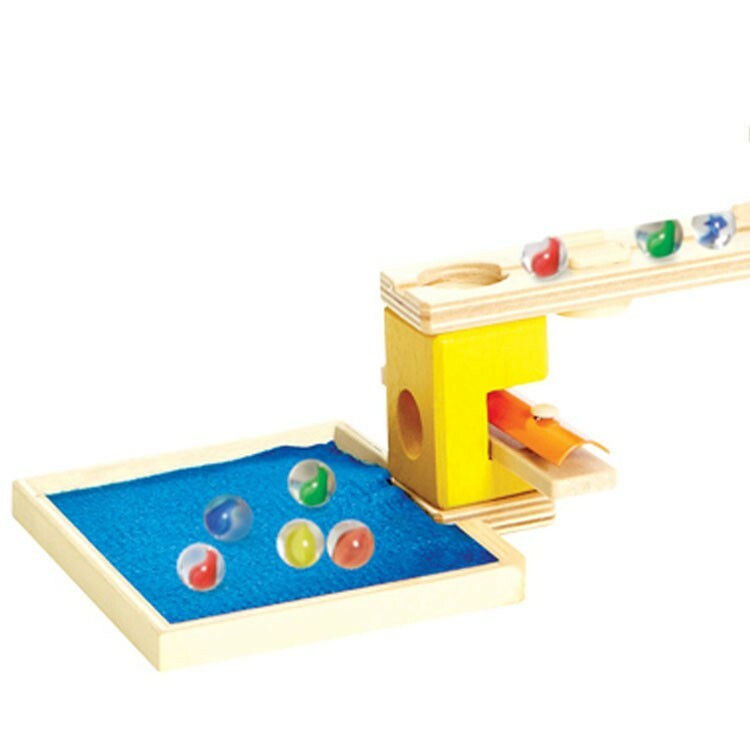 This set of colorful music making parts will not only add sound effects to your engineering ideas, but lets you experiment with marble running speed and time. 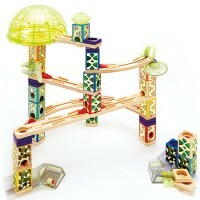 Adding different Music Mixer pieces can make your marble run faster or slower. 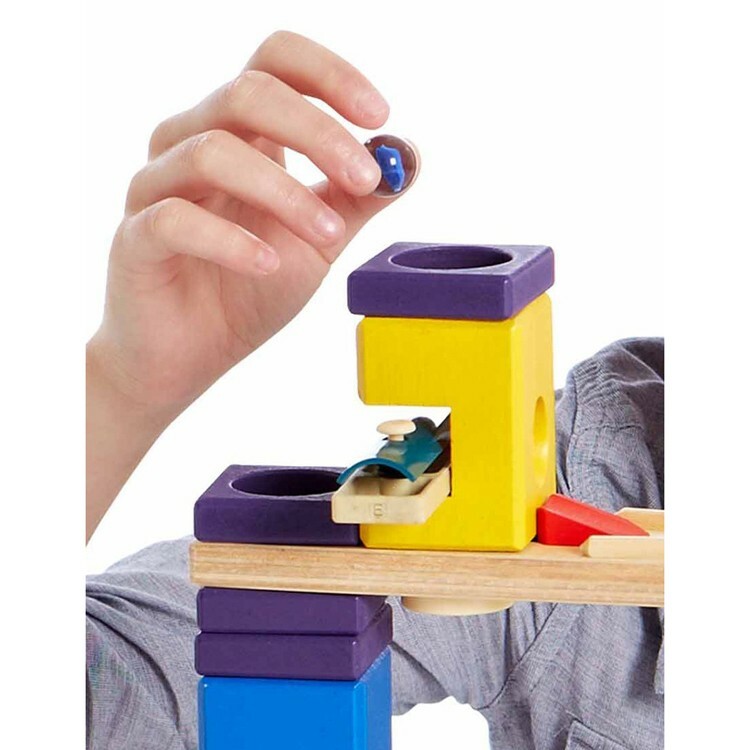 Test yourself how each piece works. 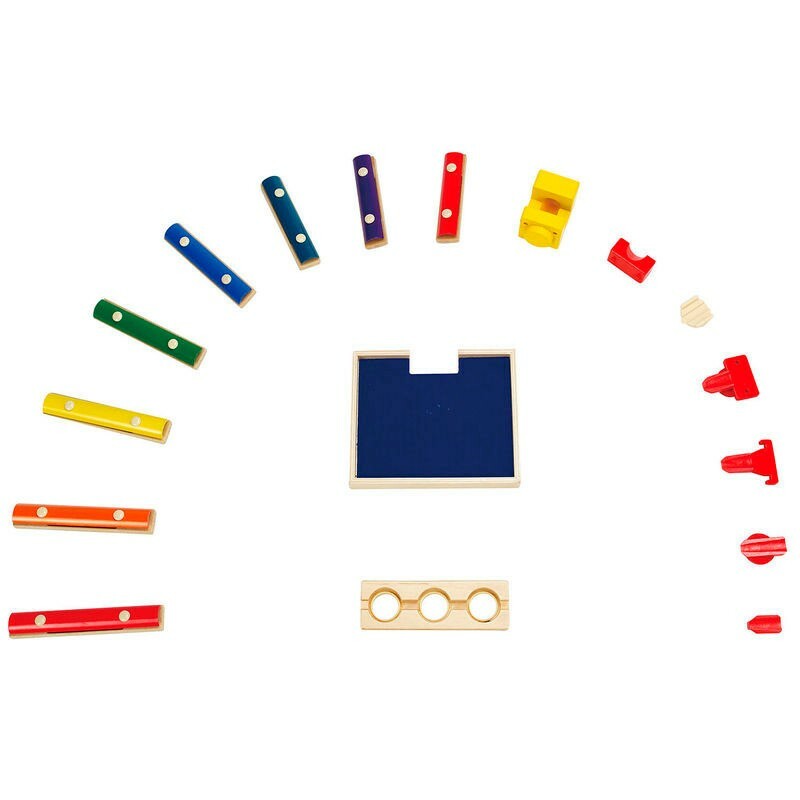 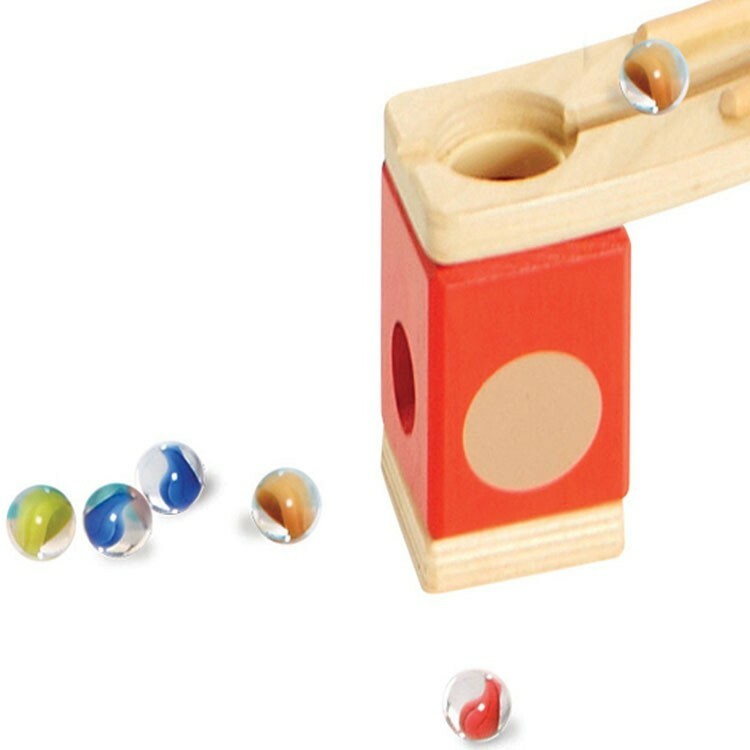 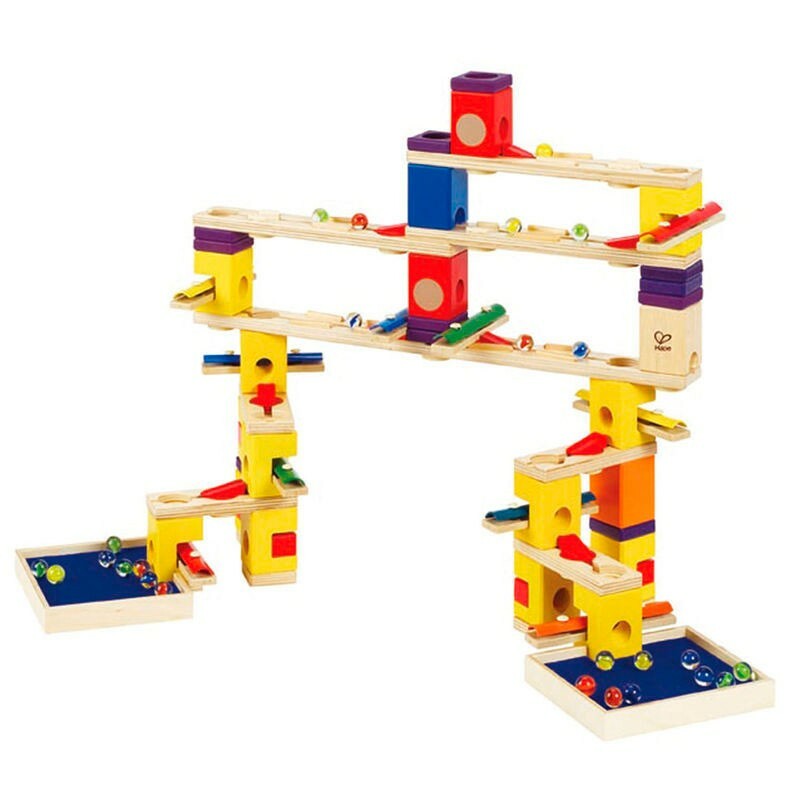 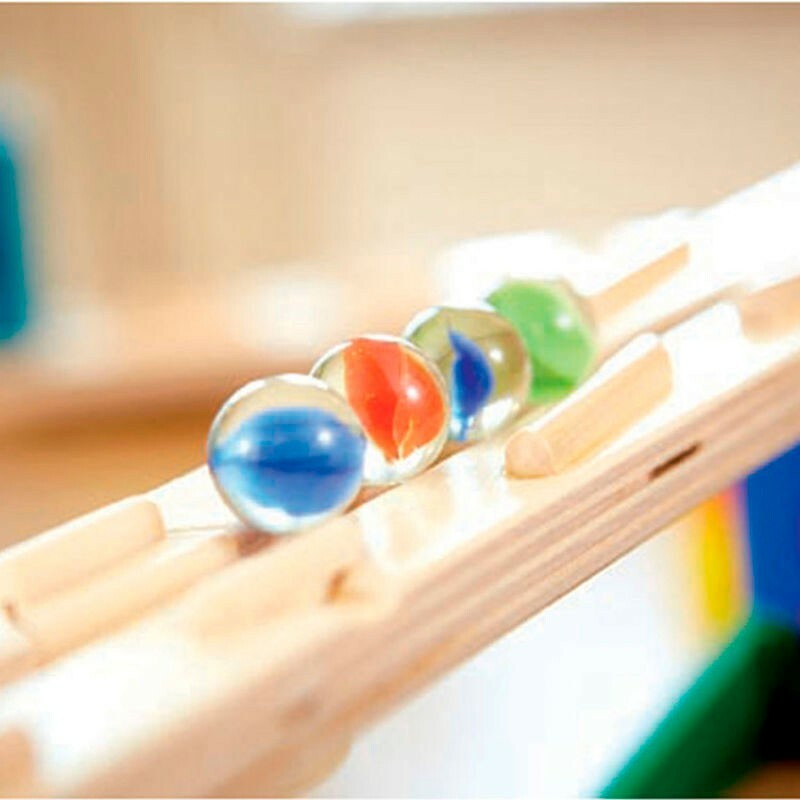 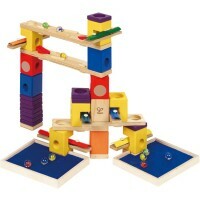 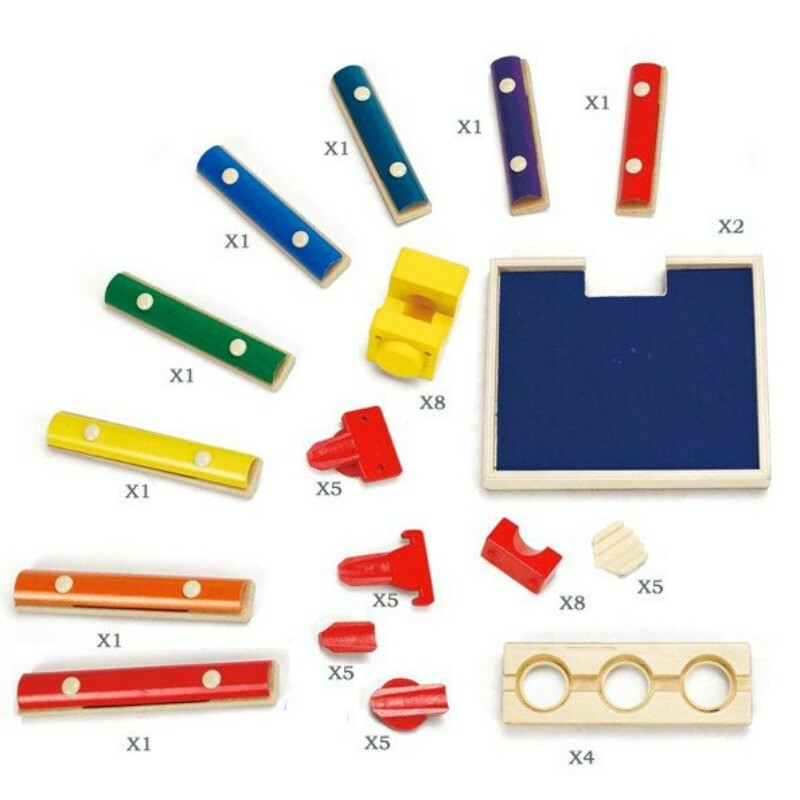 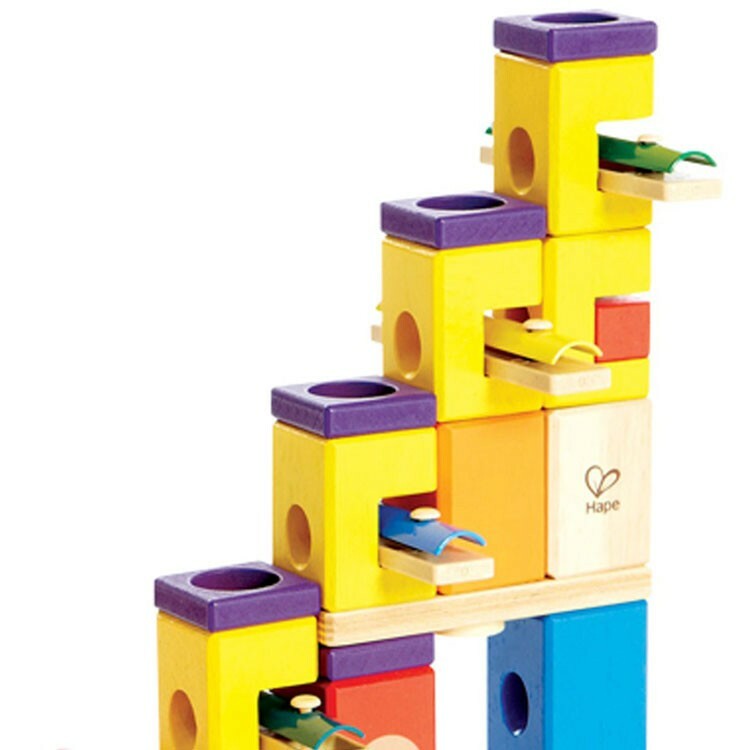 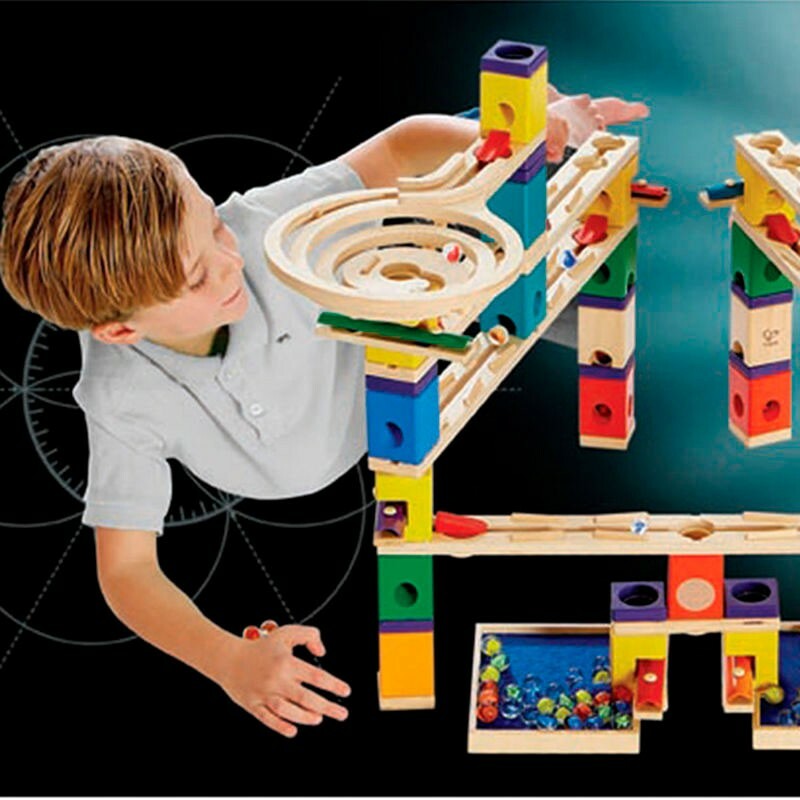 This Quadrilla marble run accessory set allows kids to follow the enclosed marble run designs or build their own models that combine strategically placed chimes pieces with other wooden parts. 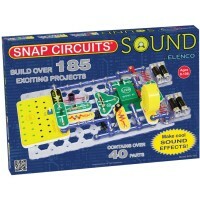 Dimensions of package 0.205" x 0.089" x 0.032"
Write your own review of Music Mixer Quadrilla Sound & Motion 56 pc Add-on Set.